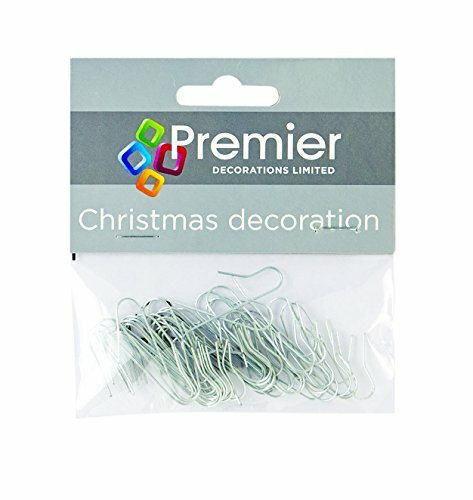 Cut out the hassle of putting your tree up this christmas with these efficient silver ornament hooks. Put up your tree ornaments in half the time using these hooks. More durable and more attractive than string and knots. They can be used this christmas and many more. Each pack contains 50 hooks and this listing is for 4 packs. Cut out the hassle of putting your tree up this christmas with these efficient silver ornament hooks. Put up your tree ornaments in half the time using these hooks. More durable and more attractive than string and knots. They can be used this christmas and many more. Each pack contains 50 hooks and this listing is for 4 packs. If you have any questions about this product by Toyland®, contact us by completing and submitting the form below. If you are looking for a specif part number, please include it with your message.